New Destination Alert: Nevis, here I come! My excitement has been almost uncontainable since I received an invitation from our national airline Winair and the Nevis Tourism Authority to attend the Nevis Blues Festival on April 7th and 8th and to spend a few days exploring this gorgeous, unspoiled Caribbean jewel. Naturally, I am writing this blog post with a huge smile on my face. Besides this being my first press trip ever, something I have been working towards for so long, I also get to tick off one more Caribbean island off of my Top Islands to Visit List. But what do I actually know about Nevis? This small island is close enough to St. Maarten that it is visible from here on a clear day. Yet, other than that it is St. Kitt’s pretty little sister or that it is home of luxury resorts like the Four Seasons and that it has wild monkeys roaming free, there is not much that I know about Nevis. Of course I have heard stories and I have seen pictures of beautiful plantations and gorgeous architecture, but exploring a to me unknown island, to learn its history and to hang out with its people is what excites me the most about my upcoming Nevis trip. 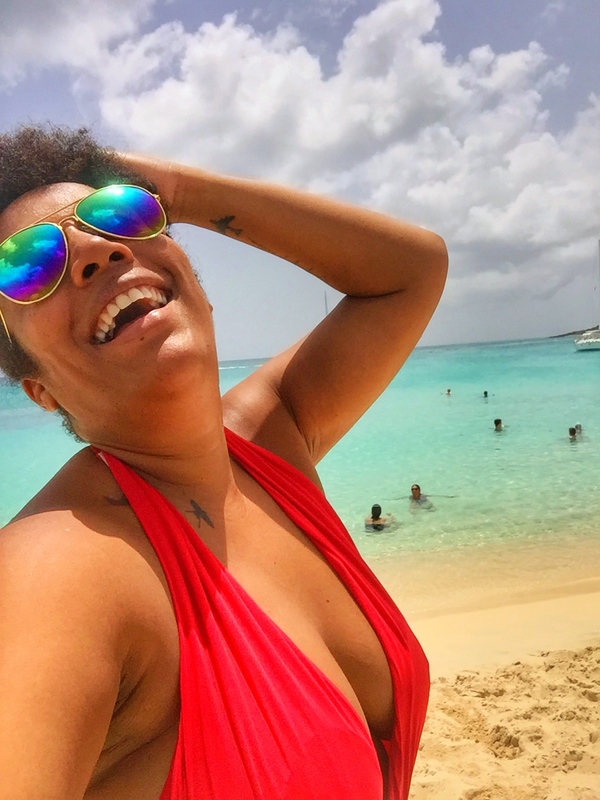 Other than the obvious hanging by the pool and sampling some delicious local cuisine, my itinerary is jam packed with other fun activities like island tours, visits to museums and a hike to a waterfall. My trip will also include a stay in the beautiful Hamilton Beach Villas and Spa, a recent addition to the island’s accommodations. But the highlight of the trip (other than the waterfall of course) will undoubtedly be the Nevis Blues Festival, one of the best music festivals in the Caribbean. I certainly cannot wait to listen to some good blues, funk and blues-rock by renowned international artists, with my feet in the sand and a drink in my hand. I’m looking forward to Ian Siegal’s voice, the guitar work from the Rhythm Chiefs and piano sounds by Ben Waters. Other artists to perform on this two day beach event include Deana Boghart, AJ Ghent, Denise Gordon and Simon McBride. Have you been to Nevis before? If yes, what do you recommend I must absolutely do while there? *All opinions expressed in the above blog post are my own. This Nevis trip is made possible by Winair and the Nevis Tourism Authority. All photos were provided by the Nevis Tourism Authority on my request. Nevis is paradise. The local people are very friendly and welcoming. It is home from home for me, I’ve been coming here since I was a baby and enjoy it so much as an adult.